With a focus on offering the most economical car servicing package around, ACMA is the workshop to meet your basic servicing needs. How do you put a price on service? For example, how much should a typical car servicing cost? $80? $100? Many of us probably have some ballpark figure (or at least a range) in our heads, based on getting tips from our friends or perhaps checking online. But in most cases, it's only once you head down to the workshop and have the mechanic assess your car that you get a specific cost for your servicing. 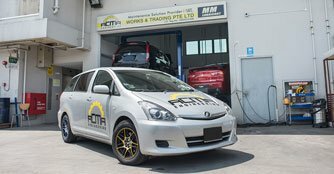 ACMA Engineering Works & Trading Pte Ltd stands out from the crowd by offering a fixed price car servicing package, all for a grand total of just $50. Who is ACMA Engineering Works & Trading Pte Ltd and what services does it offer? 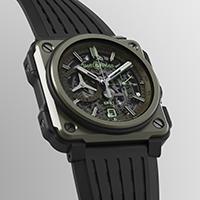 The company's genesis was rooted in engineering, working on projects with large-scale engineering companies. Established in 2007 by Alvin Chee, an ex-Army regular, ACMA worked with companies such as ST Kinetics, ST Synthesis, Triangle Auto Pte Ltd and Vantage Automotive Limited to provide automotive repair services for fleet vehicles. However, Alvin always had the ambition to set up a car servicing workshop that operates slightly differently. The car servicing workshop opened just two years ago, in November 2014, and Alvin came in with the objective of doing things slightly differently. He wanted to create a workshop with a fun and relaxed atmosphere, something he felt was lacking in many local workshops. He wanted a holistic place where customers can have their cars serviced, but also feel relaxed in a homely environment - after all, just because the car needs to be in the workshop for an hour, that doesn't mean that hour has to be a boring, wasted one. As a result, the workshop features a customer lounge with video games and OSIM massage chairs (which have just been upgraded from OSIM Udiva to OSIM Ulove), perfect for whiling away time as the mechanics work on your car. Complimentary cold soft drinks, as well as hot drinks are provided, too. He also holds on closely to two guiding concepts - economical services, and employing Singaporean mechanics. What's unique about the services offered by ACMA? ACMA's $50 servicing package is its standout offer. This stems from Alvin's belief in focusing on economical services - only doing what is necessary. He believes in advising customers on what definitely needs to be done, but also holding off on things that do not require immediate replacing. Scratched a Mercedes. Need to know repair charges. Which are your choices for most comfy car workshops in SG?